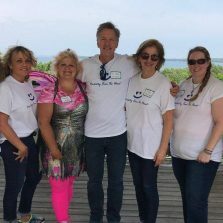 Since 2014, our team has volunteered services for a day at Bay Cliff Health Camp. 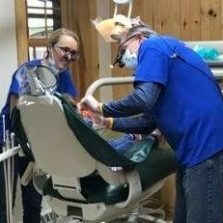 For the past four years, members of our John Fornetti Dental Center Team have volunteered to provide free dental care for the youngest campers that attend the camp. Our team also distributes toothbrushes and volunteers in the laundry and around other areas of the camp that may need assistance. 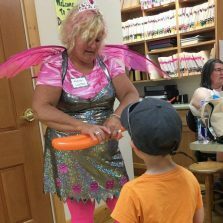 Bay Cliff is a year-round, nonprofit therapy and wellness center for children and adults with physical disabilities. Bay Cliff began as a summer of good food and camping fun for underweight children during the Great Depression.The Upper Peninsula Polio epidemic changed the focus of the camp, however from a camp for malnourished children to one for children with physical disabilities. It has been a therapy camp since this time. Today, Bay Cliff serves children with physical disabilities such as cerebral palsy, muscular dystrophy, spina bifida, vision impairment, hearing loss, arthritis, joint deformities, limb loss and disability due to accidents or trauma. 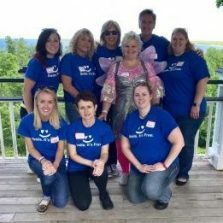 The passion of Bay Cliff is children, and the emphasis continues to be on helping those with special needs do the things all children like to do such as riding a bike, playing baseball or taking care of personal hygiene.